China has finished construction of the world’s longest ‪‎transparent ‪‎skywalk in the Chongqing Municipality. 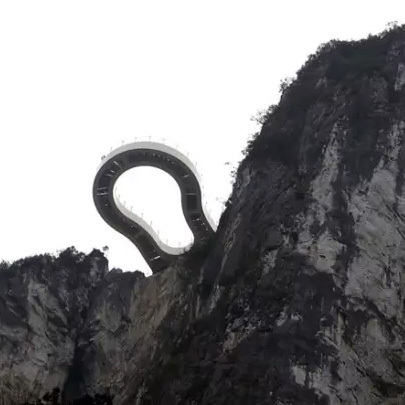 The horseshoe-shaped cantilever bridge, which stands at an altitude of 1,123 meters, contains 50 windows, through which people can enjoy the magnificent mountain view of the Yunyang Longgang Geological Park. 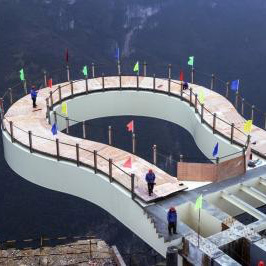 The cantilever extends over 26 meters, 5 meters longer than the renowned Grand Canyon Skywalk that overlooks the Colorado River in the U.S., making it the world’s longest transparent skywalk. According to local newspapers, the safety of the bridge is well ensured, and it can withstand a magnitude-8 earthquake. 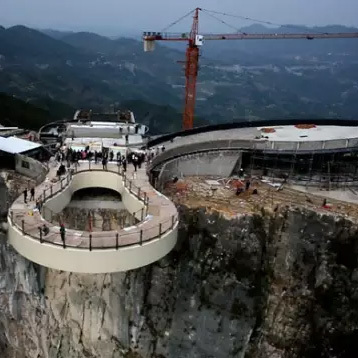 The skywalk is expected to open to the public this May.